Electroacoustic devices such as microphones and loudspeakers are used everywhere from cars and mobile phones to homes, places of worship, and sports arenas. They are a key part of the modern communication society, helping to transmit information to our ears. A contemporary introduction to the subject, Electroacoustics explains the scientific and engineering principles behind the design of these sound transducers. 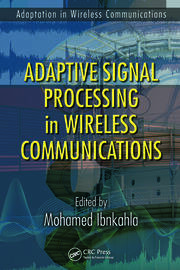 It also examines the compromises that are necessary when designing transducers for use in the real world. This accessible textbook book is based on the author’s extensive experience teaching electroacoustics to advanced graduate and graduate students. He uses the concept of electrical circuit analogies to help readers quickly grasp the fundamentals of acoustical and mechanical systems. 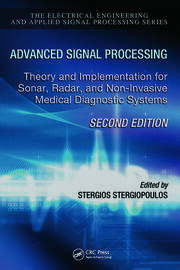 The book covers both traditional electrodynamic audio and ultrasonic transducers and includes up-to-date material on arrays, planar transducers, loudspeaker enclosure design, and more. To meet the needs of a broad range of readers, the book also includes background material on room acoustics, electrical circuits, and electrical filters. Electroacoustic theory is explained in an easy-to-read style without resorting to matrix theory. Throughout, a wealth of illustrations and exercises make the ideas more concrete. The book emphasizes multidisciplinary engineering principles, preparing students for the broad range of applications they may encounter in their research as well as later in their careers. The modern treatment of transducers also makes this a valuable reference for transducer designers, acoustical consultants, hobbyists, and anyone involved in electroacoustic design. Mendel Kleiner is Professor Emeritus at Chalmers University of Technology, Gothenburg, Sweden, and head of the Chalmers Room Acoustics Group. Before his retirement, Dr. Kleiner taught room acoustics, audio, electroacoustics, and ultrasonics in the Chalmers Master Program on Sound and Vibration in the Division of Applied Acoustics. After retiring, he continues his research in acoustics, as well as teaching and consulting. He has authored or coauthored more than 55 publications and 110 papers, including two books. He has presented many keynote lectures, led courses at international conferences on acoustics and noise control, and organized an international conference on acoustics. His main research areas include electroacoustics and audio, computer simulation of room acoustics, electroacoustic room acoustics enhancement, room acoustics of auditoria and small rooms, sound and vibration measurement technology, product sound quality, psychoacoustics, and musical acoustics. He is a fellow of the Acoustical Society of America, serves on the Audio Engineering Society’s Standards Committee on Acoustics, and was chair of its Technical Committee on Acoustics and Sound Reinforcement for 20 years. "Finally a modern alternative to the classical books on electroacoustics. The powerful technique of electrical analogous circuits is used for the analysis of microphones, loudspeakers and headphones. Theory as well as practical aspects are covered in this book by an author with decades of experience in teaching, research and practical applications. The inclusion of exercises makes this a great textbook for university teachers. Electroacoustics is a great topic for attracting students to acoustics, and this modern textbook will serve well in that role." "This book includes comprehensive coverage pertinent to fundamentals of electroacoustics, the latest knowledge pertaining to electroacoustics. Logically divided subtopics are arranged in separate chapters. Each chapter also features review questions and detailed, individual problems at the end of the chapter, suitable for university-level (both under- and graduate) course teaching or even self-study. Many basic theoretical concepts are explained with the help of a minimal amount of math, accessible to many students or audio engineers." "I found Electroacoustics to be a very readable and informative book. … provides an excellent summary of electroacoustic principles and applications. 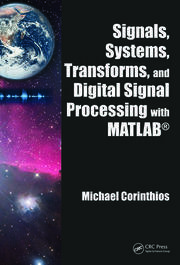 It will serve as an excellent textbook for an electroacoustics class or a resource for product designers." 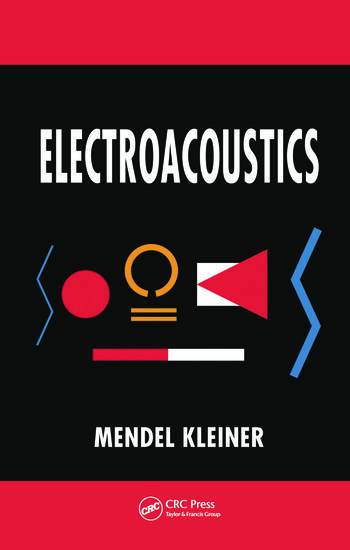 "Mendel Kleiner, the author of this book, is a Fellow of the Acoustical Society of America and a former Associate Editor of the Journal of the Acoustical Society of America. He is a widely recognized expert on architectural acoustics and electroacoustics." "It is very thorough in its approach and it covers nearly all transducer types, discussing the key scientific and engineering principles of loudspeaker and microphone transducers. A number of chapters include homework and problem sections."